Here at Poway’s Precision Automotive in Poway, CA, we believe in the importance of regular transmission service. We often see vehicles with dark or burned transmission fluid, which can be detrimental to the overall health of your vehicle’s transmission. Our ASE certified technicians are experienced with transmissions on most makes and models of vehicles and can help with maintenance, repairs, and rebuilds. At our shop, our transmission flush procedure includes adding a cleaning chemical to the existing fluid, getting the fluid hot by running or driving the vehicle, then performing the transmission fluid change with a machine that changes all of the fluid in the transmission. We only perform transmission services and repairs that are beneficial to your vehicle. Our goal is to help you prevent expensive transmission repairs and complete transmission rebuild or replacement. There are many expensive components inside a transmission, and by performing a simple transmission fluid change using our method, you can greatly increase the life of your transmission. If you’re experiencing any of the issues above, it is best to get your vehicle inspected at first chance to avoid major problems. Our shop has the proper diagnostic tools to determine the exact issue with your transmission. 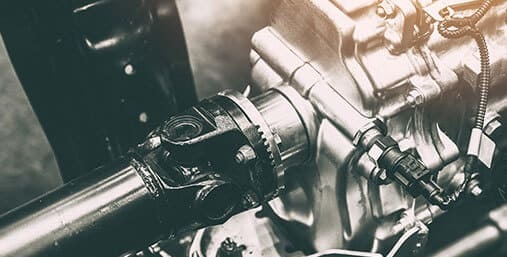 Our experts understand the ins and outs of transmissions and can determine whether a repair is needed or if your vehicle may require a transmission rebuild or replacement. 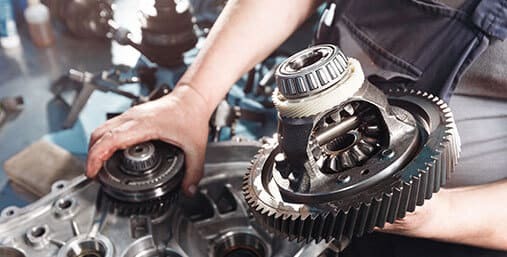 If you are not sure when your last transmission service was done or are unsure of the last shop that performed the transmission flush, come see us in Poway at Poway’s Precision Automotive and we will do a comprehensive inspection to check the transmission condition, as well as perform a complete vehicle inspection.